“QR code (abbreviated from Quick Response Code) is the trademark for a type of matrix barcode (or two-dimensional barcode) first designed for the automotive industry in Japan. A barcode is a machine-readable optical label that contains information about the item to which it is attached. A QR code uses four standardized encoding modes (numeric, alphanumeric, byte / binary, and kanji) to efficiently store data; extensions may also be used. Interestingly enough, QR codes were originally used in the manufacturing industry for managing automobile parts inventory. In recent years they have been utilized for promotional purposes by companies trying to link products and services to customers using smart phones. 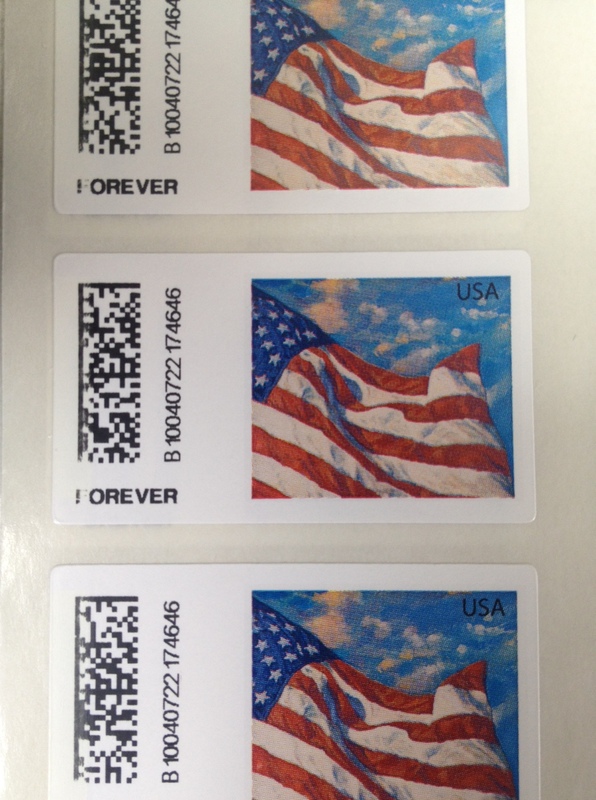 Now the QR codes can be found on the United States Postal Service stamps you use to mail letters. Although you can purchase stamps at places like grocery stores and other common stores, the primary source for the new stamps is the US post office in your neighborhood (and online, of course). 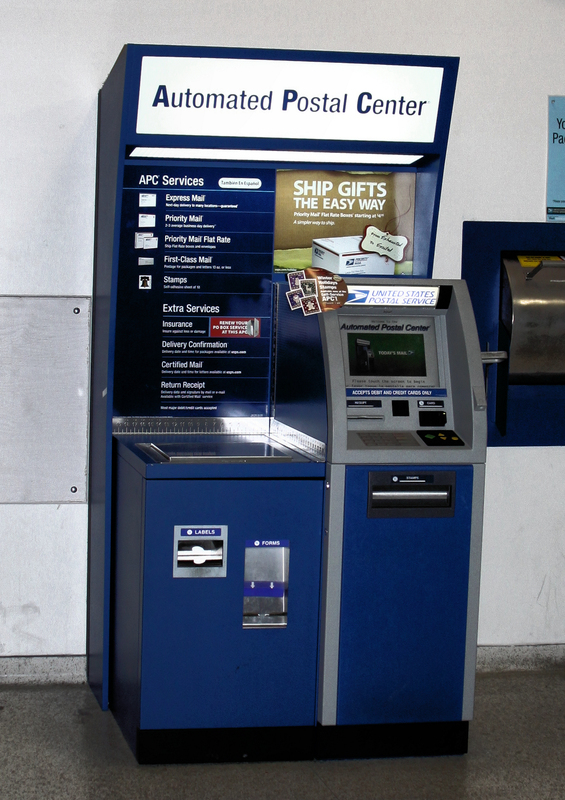 And when using the USPS vending machine to purchase stamps, you are required to use either a credit card or debit card (cash is not accepted). And so when we put all these pieces of the stamp puzzle together, we can see that privacy and anonymity for individuals have once again been left in the dust, ostensibly in the name of convenience and technology. Advocates of the new system of stamp dispensation would argue that no one is tracking your stamp use and it’s simply an easier, high tech way of connecting with customers. But we should all question the placement of numbered codes (dispensed by machines that collect your personal banking information) on a simple stamp – especially living in a world where the NSA is admittedly listening to our phone conversations and collecting data on innocent US citizens on a daily basis. Apparently (according to the article) we should be more like the Chinese and allow authorities to track our garbage from our doorstep all the way to the landfill. Each trash bag has a scanned code which determines where each bag will go (and reverse-engineering, where it comes from). It’s easy to see that this use of codes creates a slippery slope of tracking systems, and the next question should be where does it end? Do we really need to be tracking so much of our personal life? We believe the answer is that a bold line should be drawn where our privacy begins. We don’t need all these tracking devices because it hurts our personal freedom and encourages government oversight and abuse of citizens’ rights.